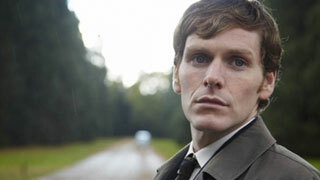 Shaun Evans as young Morse. So how are you enjoying Masterpiece Mystery's Endeavour? I have to admit to being a bit taken aback when I learned there was going to be a prequel to Inspector Morse - I couldn't imagine a young version of the Wagner-loving grump. John Thaw's shoes are pretty big ones to fill, but I think Shaun Evans, who plays the younger Morse, does a pretty good job. 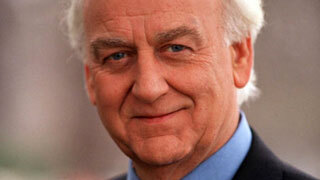 The idea for the prequel actually came from author Colin Dexter - the creator of Morse. He was asked to write a short story about his fictional inspector a couple of years ago and decided instead of "raising him from the dead", he'd "go back in time". The script for Endeavour was written by Russell Lewis, who also wrote Inspector Lewis, the popular Morse spin-off series featuring Kevin Whately as Morse's sidekick, in the title role. When Dexter gave his permission for the making of Inspector Lewis back in 2006 it came with the stipulation that the character of Morse never be played by any other actor than John Thaw, who had died in 2002. "John was Morse and that's it," said Dexter at the time. "He's not James Bond." So it came as a surprise to everyone that Dexter allowed the relatively unknown 31-year-old Evans to take on the role of his greatest creation. Evans, who hails from Liverpool, agrees that it would have been impossible for him to replace John Thaw had they simply picked up where Morse had left off. By playing the character when he first started out in the police force back in 1965 though, he feels he's "not really following in his footsteps because I'm stepping into Morse's life when it's a freshly laundered sheet." When cast in the role, Evans decided he'd have to turn it down if all that was being asked of him was to do an impression of the older Morse. "It didn't make sense to have me play a part in the same way someone else had years earlier," says Evans, "but there was no conflict; it was agreed I should give young Morse a life of his own." Evans doesn't even get to drive Morse's red Jaguar. We do though see his character look enviously at a red Jaguar Mark II when he has to visit a used-car garage. 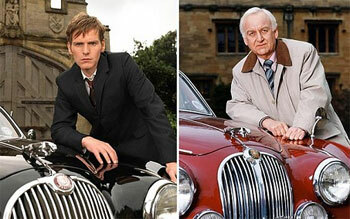 The car used in that episode was the exact car that Thaw drove in as Morse - registration 248 RPA. Although it had had a couple of other owners since Morse finished in 2000, it was tracked down so that it could make a guest appearance. Not that Evans would have remembered the car: he was just seven years old when Inspector Morse first appeared on our screens. Having only seen a few episodes of the series and not having read any of the books, Evans quickly set to work to read everything he could about the character he was taking on to try and find out "what made the man tick". "I found someone brilliant at his job," says Evans, "but not very good with his life. He wanted desperately to make everything work – his relationships with women in particular, and his need for friends – but he had failed. And that's what so endeared Morse to viewers. He was human, with flaws. He was moody, difficult, taciturn and stubborn in his later years, and now we see he was no happier when younger. His life isn't complete and probably never will be, and he knows it. He can't find his place in the world. He's asking himself, "Am I in the right job? Is Oxford the right place for me?" We know of course the outcome of that question. Oxford proved to be the right place for Morse, but when John Thaw was first offered the role of Morse, he had his own doubts about the success of the series. "Two hours with a miserable sod who likes beer and can't relate to women?" said Thaw to the executive producer. "If it's a flop, I will blame you." Endeavour looks like it's also going to be a success. The initial series received such high ratings that another four episode series was made, which you can see on MPT beginning next Sunday, June 29th at 9pm.